The following plenary and keynote talks will be delivered at the NAWEA symposium by eminent scholars from academia, industry, and national laboratories. The talk centers on modeling wind farms using Large Eddy Simulations (LES). In the first part of the talk we describe recent efforts to improve the actuator line model (ALM), a commonly used tool to represent lifting surfaces such as wind turbine blades in LES. We utilize a family of analytical solutions to the Euler equation describing inviscid flow past Gaussian body force fields. Using this analytical formulation, we find that using a Gaussian body force with a kernel size of about 1/4 of the chord length yields most accurate predictions of the velocity field and loads along the blades. This result is consistent with empirical findings by several groups, when ALM is implemented and tested using various kernel sizes. In simulations it is shown that it is the accurate representation of the thickness of the tip vortices and the associated downwash close to the tip which results in accurate predictions of the tip losses. For coarser-scale LES that cannot afford resolving the optimal kernel size, an additional correction must be introduced, which can also be expressed using the analytical solutions to flow over Gaussian body forces. We show that this result is equivalent to a Gaussian filtered version of a generalized Prandtl’s lifting line theory. Motivated by practical implementation needs, we introduce several approximations based on a numerical solution of the resulting Fredholm integral equation. Results confirm that by using the proposed correction, kernel-size independent predictions of lift coefficient and total lift forces that agree very well with those obtained with the optimal kernel size. In the second part of the talk, we focus on temporal fluctuations in wind farm power output that occur on time-scales between tens of seconds to hours that are intimately related to the turbulent fluctuations in the atmospheric boundary layer. In order to better understand the spectral features of wind farm power output, we interpret the sum of power extraction from an array of turbines as a discrete spatial filtering of a turbulent boundary layer. We derive the associated transfer function and show how it can be applied to an analytical model of spatio-temporal spectra that has been derived for wall-bounded turbulent flow. The derivation is based on the random sweeping hypothesis and requires specification of the spatial two-dimensional energy spectrum on the horizontal plane at hub-height. The approach is tested using recent data from a wind tunnel experiment using an array of 100 small (3cm) actuator disks to model a large wind farm. Both aligned and staggered arrangements are measured. Results show that power spectra of wind farm power output can be modeled quite well knowing the turbulence’s spatio-temporal structure. Limitations of the approach will be discussed and possible wind farm design applications will be highlighted. This work is a collaboration with Tony Martinez-Tossas, Matt Churchfield, Juliaan Bossuyt, Johan Meyers, Michael Wilczek and Richard J.A.M. Stevens. We are grateful for fruitful conversations with Jens Sørensen on ALM. CM is funded by the National Science Foundation (the WINDINSPIRE project). 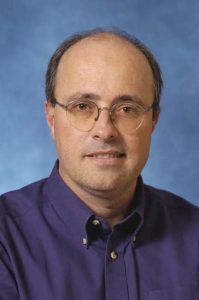 Charles Meneveau is the Louis M. Sardella Professor in the Department of Mechanical Engineering at Johns Hopkins University and is Associate Director of the Institute for Data Intensive Engineering and Science (IDIES) at Hopkins. He received his B.S. degree in Mechanical Engineering from the Universidad Técnica Federico Santa María in Valparaíso, Chile, in 1985 and M.S, M.Phil. and Ph.D. degrees from Yale University in 1987, 1988 and 1989, respectively. During 1989/90 he was a postdoctoral fellow at the Center for Turbulence Research at Stanford. He has been on the Johns Hopkins faculty since 1990. His area of research is focused on understanding and modeling hydrodynamic turbulence, and complexity in fluid mechanics in general. The insights that have emerged from Professor Meneveau’s work have led to new numerical models for Large Eddy Simulations (LES) and applications in engineering and environmental flows. Currently, he is focused on applications of LES to wind energy and on methods to share the very large data sets that arise in computational fluid dynamics. Professor Meneveau is a foreign corresponding member of the Chilean Academy of Sciences, and a Fellow of the American Academy of Mechanics, the U.S. American Physical Society and the American Society of Mechanical Engineers. He received an honorary doctorate from the Danish Technical University (in 2016), the inaugural Stanley Corrsin Award from the American Physical Society (2011), the 2004 UCAR Outstanding Publication award (with students and other colleagues at JHU and NCAR), the Johns Hopkins University Alumni Association’s Excellence in Teaching Award (2003), and the APS’ François N. Frenkiel Award for Fluid Mechanics (2001). He is Deputy Editor of the Journal of Fluid Mechanics and served (until 2015) for 13 years as the Editor-in-Chief of the Journal of Turbulence. DOE has a vision of wind energy supplying 35% of the US electricity demand by 2050. Enabling such a high penetration of wind will require significant advances in basic science of wind technology, transmission-level grid support, international standards, and simulation tools. The DOE initiative in High Fidelity Modeling, called Atmosphere to Electrons (A2e) is supported through computational modeling efforts already being applied to full wind plant simulations of the atmospheric flow. These calculations show how wind turbine wakes interact with other turbines, and have provided insight into how they can be controlled. Some recent research results are summarized to illustrate how NWTC is making a bright future for wind energy possible. The research effort is founded on a partnership between three National Laboratories, each supplying leadership is critical parts of the effort as a whole. Significant outcomes from the past year are highlighted. The ultimate goal of smart plants interacting in a smooth way to support grid needs and enhance reliability is going to be a national challenge that will require with broad, multi-disciplinary integration of major research efforts. Dr. Paul Veers is the Chief Engineer at NREL’s National Wind Technology Center and is responsible for the portfolio of research projects conducted by NREL on behalf of the US Department of Energy. He has worked in the area of wind energy technology since 1980, conducting research on wind energy systems including atmospheric turbulence simulation, fatigue analysis, reliability, structural dynamics, aeroelastic tailoring of blades, and the evaluation of design requirements. 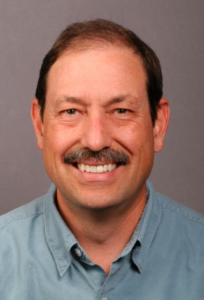 Prior to his role at NREL, he was a Distinguished Member of the Technical Staff at Sandia National Laboratories. Paul has authored over 70 articles, papers, book chapters and reports and for twelve years was the Chief Editor for Wind Energy, an international journal for progress and applications in wind power. The European Academy for Wind Energy awarded him the Scientific Award 2016 for his leadership in wind energy, especially in scientific publishing. He has a M.S. in Engineering Mechanics from the University of Wisconsin and a Ph.D. in Mechanical Engineering from Stanford University. MidAmerican Energy began investing in renewable energy sources in 2004, and in the past dozen years has become a national leader in the percentage of energy generated by wind. On their journey to becoming the leading owner of wind-powered generation among American rate-regulated utilities, MidAmerican Energy leaders have had to balance the technological, financial, regulatory and relational challenges that come from expanding their wind generation capacity. Vice President for Resource Development Mike Fehr will be sharing how he and his teams have navigated these challenges, how he has seen MidAmerican Energy’s generation fleet change and grow, and what considerations he and his colleagues are thinking about on their way to realizing their vision of a 100% renewable energy future. 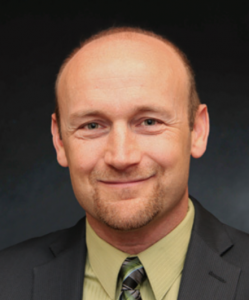 Michael Fehr is Vice President, Resource Development at MidAmerican Energy Company, part of the Berkshire Hathaway Energy (BHE) family of companies. He has been with BHE for approximately seven years, with that time split between MidAmerican Energy and BHE Renewables. In his current role, he is responsible for development and construction activities associated with new generation. Prior to his current position, he was Vice President, Regulation for MidAmerican Energy Company. In that role, he was responsible for managing MidAmerican’s regulatory, legislative and energy efficiency departments. From 2012 to 2013 he was general manager overseeing construction of BHE Renewable’s 586 MW Solar Star site near Rosamond, Calif. 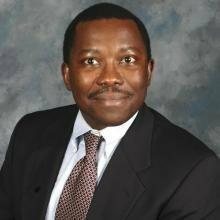 He has also served as business manager at MidAmerican Energy’s Walter Scott Energy Center in Council Bluffs, which is comprised of four coal-fired units, two of which were later retired. Prior to joining MidAmerican Energy, he was employed by a consulting engineering firm in Overland Park, Kan., for 14 years in various design engineering and engineering management positions. He holds Bachelor of Science Degrees in Animal Science and Mechanical Engineering from Iowa State University, a Master of Business Administration Degree from the University of Kansas, and is a registered Professional Engineer in the state of Kansas. The share of renewables, in particular wind power, in the overall mix of electric power generation is rapidly increasing. Due to the variability, uncertainty, location-specific characteristics, and low marginal costs of renewables, the design, operation and planning of power systems – that is, generation, transmission and consumption of electric power – is changing from technical and economic perspectives. It is necessary to quantify these technical and economic impacts for future power systems. Whereas most prior work has examined future power systems using theoretical approaches, we have developed an innovative, holistic, bottom-to-top, simulation framework in which generation (both renewable and conventional power plants at the resolution of individual generation units), transmission (AC and DC lines resolved to each span) and consumption (geographically referenced and differentiated into household, commercial, industrial and transportation sectors) are accurately and chronologically simulated using physical models. In this talk, we present assessments using a high spatial resolution model that covers 22 interconnected countries and that is comprised of 1’000GW of generation capacity, 300’000km of high voltage transmission lines and 3’330TWh of consumption. With this very realistic model and high fidelity simulation framework, we assess how smart grid technologies, energy storage, more flexible generation technologies, new services, and new business models need to be developed in order to facilitate very high penetrations of wind power. Dr. Ndaona Chokani received his B.A. from Oxford University and his Ph.D. from Cambridge University. Chokani was a Professor for 17 years in the USA, where his work was variously supported by AFOSR, DARPA, NASA Langley, and NSF. Since 2006, Chokani is at the Swiss Federal Institute of Technology in Zurich (ETH Zurich), where he leads the wind energy program and the energy, economics & policy program in the Laboratory for Energy Conversion. In the last five years, Chokani and his team has published more than 30 journal and conference papers. Chokani is President of Switzerland’s International Electrotechnical Commission (IEC) Technical Committee 88, immediate-past-Chair of the American Society of Mechanical Engineers (ASME) International Gas Turbine Institute (IGTI) Wind Energy Committee, a Board Member of the European Academy of Wind Energy (EAWE), and served on committees for several European Wind Energy Association (EWEA) conferences. Chokani is an Associate Fellow of the American Institute of Aeronautics & Astronautics (AIAA), and Member of ASME, and the Society of Photo-Optical Instrumentation Engineers (SPIE). While China has a long history of using wind energy, wind energy industry has only about a history of 30 years in China. In aim of environmental protection and energy structural adjustment, Renewable Energy Law and special supporting policies have been established in China in the past few years, leading to rapid development of wind power during the past decade. While China became the country with the largest installed wind power capacity in the world in 2010, China is also the country with the largest wind power output since 2016. Although wind power has been the third largest power source of China, behind thermal power and hydropower, its share in power system is still low. China is pursuing consistently the high share of wind power in future. China has proposed construction of eight wind power bases, each at least 10 GW. This first stage (5.35 GW) of JiuQuan wind power base–the first wind power base, has been completed in Mar 35, 2017. Such extremely large-scaled wind farm is the unique feature of China’s wind power. Complex terrain wind farm and low speed wind turbine technologies are developed rapidly in recent years. Benefiting from these developments, the price of wind power is expected to reduced to the same as thermal power in 2020. China also has largest undergraduate and graduate education programs in wind energy in the world. The first undergraduate program on Wind Energy in China was established in North China Electric Power University (NCEPU) in 2006. Till now, over eighty universities and colleges have this education program. This presentation will give a glance on the history of wind power development, the feature of wind power and the technologies development in China. The existing problems and potential solutions will also be discussed. 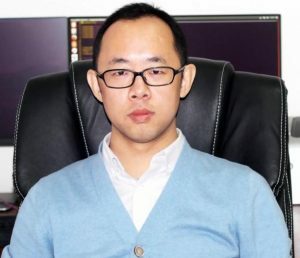 Dr. Xiaodong Wang is an associate professor at the school of energy, power and mechanical engineering at North China Electric Power University (NCEPU). He obtained his Master of Science degree in Aerospace Engineering at Institute of China Aerospace Science and Industry Corp (CASIC), and his Ph.D. degree with distinction from Vrije Universiteit Brussel (VUB). He worked as MITACS Postdoctoral Fellowship at University of Toronto Institute of Aerospace Studies (UTIAS) before he joined in NCEPU. He is a member of ASME, CWEA and CSET. His research interests include aerodynamics of wind turbine and gas turbine, aero-acoustics of wind turbine, wind turbine icing and anti-icing technology, wake flow in wind farm, CFD and Uncertainty Quantification (UQ). Dr. Wang is leading two NSFC funded research projects on wind energy and other two from MOE. He is also involved in three other wind energy projects of NSFC and MOST. He is the leading or/and corresponding author of over 30 peer-reviewed journal articles and over 20 presentations on wind energy.